Get yourself spoiled on the exotic beaches of Puerto Morelos, as you submerse yourself in a lusciously sensual ambience at Desire Riviera Maya Pearl Resort. This couples-only resort is designed to awaken your senses through a corporeal, all-inclusive package that includes pleasure and luxury, accompanied by unparalleled facilities and services. 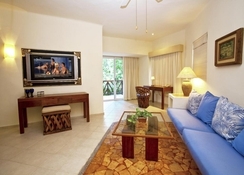 From the moment you enter this beautiful resort, you will be enthralled by its beauty. 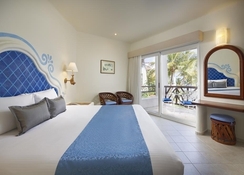 All the guestrooms and suites at the resort feature marvellous ocean views in a cosy atmosphere, providing you and your partner a lustful Caribbean encounter. Desire Riviera Maya Pearl Resort is perfectly situated on an isolated powdery sandy beach, at the outskirts of Puerto Morelos. 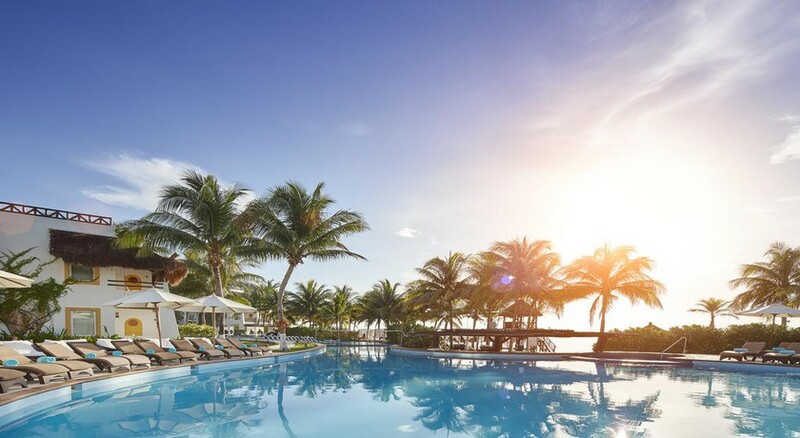 This clothing-optional resort is just 20 minutes’ drive away from the Cancun International Airport, making it convenient for the guests to board their flights on time. The Croco Cun Zoo is only 7.4km from the resort. This beach resort is close to several attractions that are easily accessible, including a large number of underground rivers, Mayan archaeological sites, cave diving, deep sea fishing, snorkelling and scuba diving on the abundant Mayan Reef. 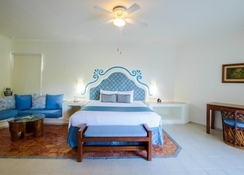 All the rooms in Desire Riviera Maya Pearl Resort are designed with superior-quality materials for providing a comfortable stay along with ample living spaces and exclusive bath facilities. 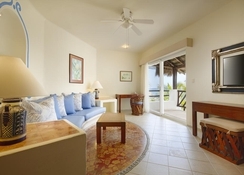 The rooms and suites come in five categories that include Ocean View Rooms, Junior Suites, Master Suites, Master Suites with Plunge Pool and Penthouse Passion suites with Plunge Pool. All the rooms feature a world of amenities and comfort that include a king size bed, private terrace or balcony, spacious living area, in-room safe, international cable TV, telephone, ceiling fan, hairdryer, mini bar, separate bathtub and shower, radio & alarm clock and much more. You and your partner will be discovering a sensual dining experience, as you savour delicately prepared dishes, assured to stimulate irresistible senses of pleasure, while experiencing ecstasy in each bite. The resort houses eight restaurants and bars namely Aphrodite, Pearl, Dinner by the Sea, Agave Lobby Bar, Lush, Wet Spot, Obsession and Unik. The guests can also utilize the in-room food service that is available throughout the day. The resort offers a daily activities program specifically designed for socially stylish and experienced players. There is an outdoor swimming pool, where the guests can take a dip into the pools with their respective partners and relax on the sun loungers dotted across the pool, while having refreshing drinks. Other than this, there is a Jacuzzi and Spa, where you can rejuvenate your senses and attain ultimate relaxation. When it comes to nightly entertainment the resort is the best in Mexico. The entertainment program at the Desire Riviera Maya Pearl Resort includes tempting theme nights, setting your mood.